In addition to being from Texas, Eddie is a foodie and a gifted chef. 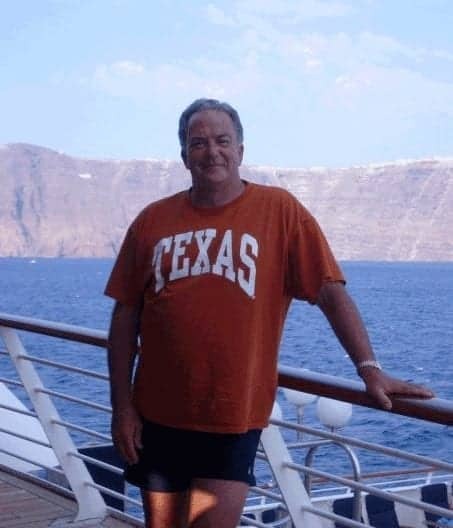 As UniGuide is a site that promotes a vegan lifestyle, Kristen thought, Wouldn’t it be interesting if I asked my dad, Big Ed from Texas, the carnivore, to share some of his own best meat-free recipes and also some of his favorite vegan recipes from other chefs? After all, any vegan dish that can make a Texas carnivore drool is worth sharing with the world. The way we see it, the more you fill people up with good veggie food, the less meat they’ll eat! When Kristen asked if I would be willing to share my favorite meat-free recipes on UniGuide, I thought she was kidding me. After all, I once owned a 26-restaurant barbeque chain, Luther’s Barbeque, with some partners. Plus, I’m very proud that a fellow Texan, Randy Franklin, won the James Beard Award as The Best Chef-Southwest for the amazing dishes he serves up at Franklin Barbeque in Austin, many of which, of course, are meat. But then I thought, wait a minute, I live in Houston, the most diverse city in the United States, whose populous spends more of their disposable income eating out than any other city’s. A bunch of that expenditure is mine. My wife, Diane, and I eat out a lot—sushi, Indian, seafood, Italian, steaks, French, Scandinavian and, yes, vegetarian. Furthermore, I love to cook and devour cooking magazines and television cooking shows. As a cuisine adventurer, I have experienced first-hand that plants can take center stage, and even the whole stage, in a great meal, rather than being relegated to the sidelines on your plate. So with that, whether you’re an herbivore, a carnivore, or an omnivore like I am, please enjoy some of my favorite meat-free recipes.